← Amigurumi Lesson Video is up! I finally made some time to work on Vera again! It’s been way too long. She’s coming along nicely. I used a 9mm dowel to reinforce the body and the grip for better stability. 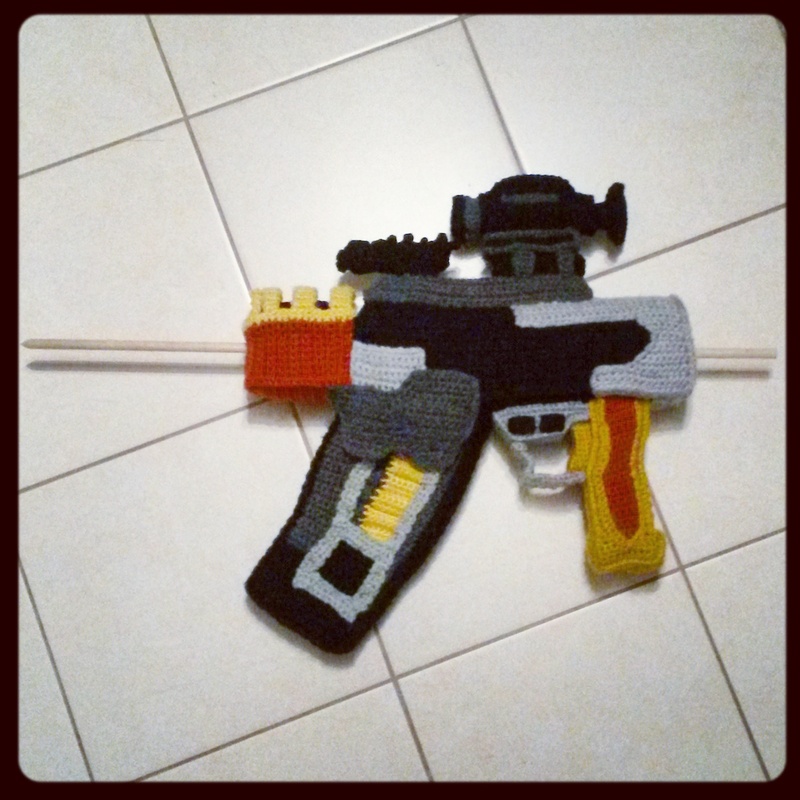 This entry was posted in Blog, Crochet and tagged cosplay, craft, crochet, diy, firefly, jayne, pattern, vera. Bookmark the permalink.